Κυπριακή σκαλιστή κονσόλα από καρυδιά. 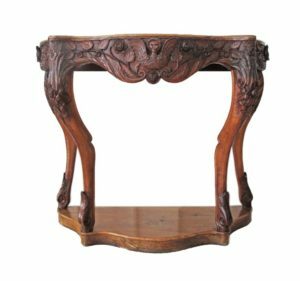 A Cypriot carved walnut console table wonderfully carved Byzantine style frieze in angel and birds motif, resting on cabriole legs. H92cm, W112cm, D50cm.